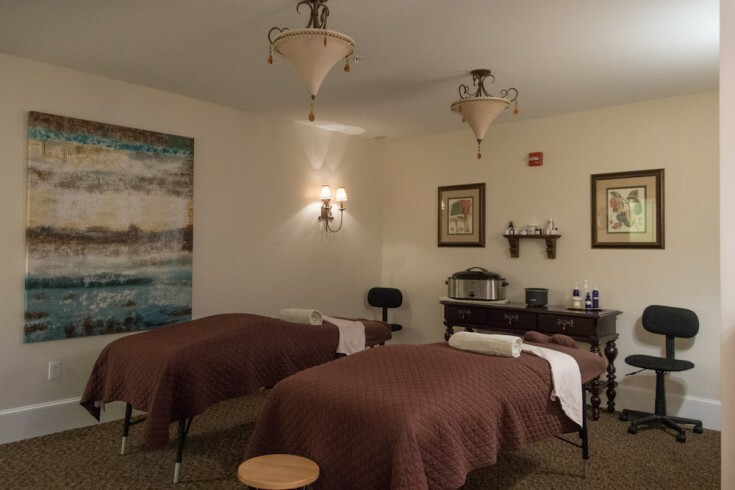 We offer a variety of in house spa services in our two massage rooms. 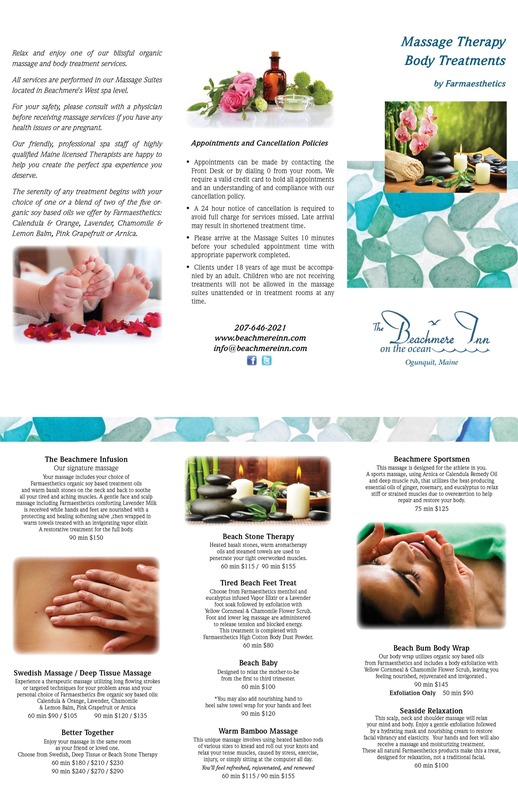 Choose from massage therapies or body treatments for single services or in our couples room. Revive your “sole” with a Tired Feet Treatment or relax with a hot stone massage for you and/or someone special. For an afternoon with friends, we will arrange a spa afternoon for the group. Enjoy cocktails, appetizers, petite desserts, hot tub and spa services for your group.